Of the millions of people wracked with anxiety, depression, or both, only about a third seek treatment. Anxiety disorders are the most common mental illness in the U.S., affecting more than 40 million adults in the U.S. alone, and depression touches the lives of an estimated 20 million. Nearly half of those diagnosed with depression also struggle with anxiety. 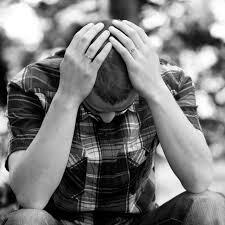 When in the throes of anxiety and depression, a person lacks motivation and may feel ashamed. “People are so afraid of stigma attached to mental illness that they don’t want to admit they’re struggling,’’ Borden said. During National Anxiety and Depression Awareness Week, May 3-9, Borden said everyone should learn the symptoms of these debilitating conditions so they can recognize them in themselves or loved ones.